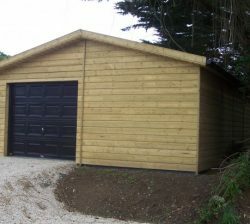 A Wooden Garage as shown here measures 6m x 3.6m with a galvanized box profile roof, gutter downpipes and double doors. Get in touch to discuss your requirements. 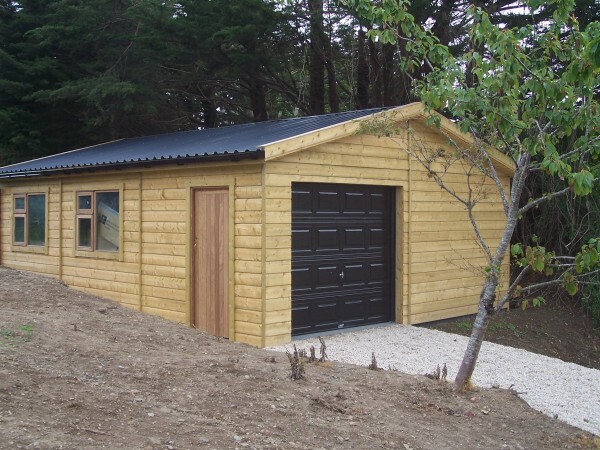 Abwood Wooden Garages are constructed with traditional features and framing similar to the log cabin style. We offer bespoke options and come constructed with high quality timber. 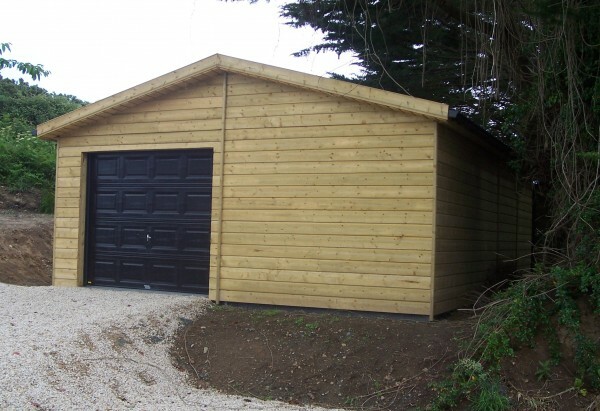 All of our wooden garages are built to the highest standard and offer an attractive, practical and robust design. 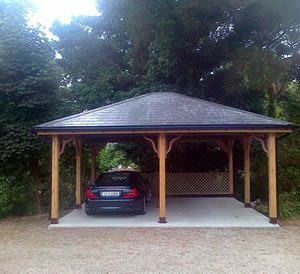 Wooden Carport Garage are constructed with high quality timber. 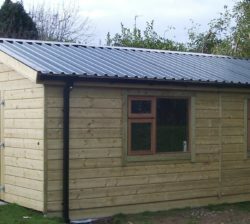 The high pitch on the roof allows enough height for you to have room in the roof section of the garage. Providing your car an enclosed dry structure as well as an attractive feature to your home.